During this past off-season, the Professional Staff, with the support of the Handicap Committee began an analysis of our current hole handicap rankings in an effort to update them based on the over 600 rounds of “hole-by-hole” data we have accumulated since the last revision in 2016. Throughout this process it became clear that there was a lot of confusion regarding both the procedure for rankings as well as a number of common myths about handicap hole rankings in general. If you are interested in this information please read on, and if you have any questions please don’t hesitate to ask your Handicap Committee representatives or any of the Professional Staff. Finally, please understand that this is a process that we will be continuing over the next few years a we continue to gain more and more data and can improve our overall sample sizes. For simplicity purposes, the information below is based on the Men’s hole rankings and data - the same process was carried out for the Ladies rankings and discussed with representatives from the Ladies Committee. 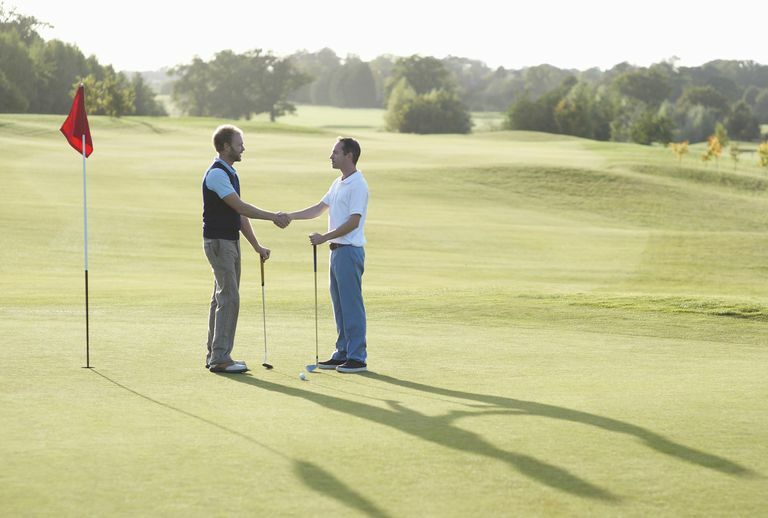 If you were to receive only one handicap stroke against an opponent, where would you want it? You're probably picturing the hole you mess up on the most. We all equate a big score, like an 8 or a 9, with the hole where we want the stroke. It might not occur to us that where we actually need the stroke is at a hole where we experience far fewer problems. Many golfers assume that the No. 1 handicapped hole means it is the most difficult. Yet the hole that is toughest for some players is not necessarily the toughest for all players. The first allocated stroke hole should be the hole where the stroke is most useful in a match between players of almost equal ability, for instance between a 10 and an 11 or a 29 and a 31-course handicap. The stroke is needed to equalize the opponents in a game of match play. The emphasis on handicap stroke allocation should be on where strokes will erase unequal abilities, whether the lesser-skilled player receives one stroke or 30. How are handicap holes allocated? Section 17 of the Golf Canada Handicap Manual provides guidelines on the computation of handicap stroke allocations. The Committee begins the process by collecting at least 500 scorecards from play over the most commonly used sets of tees. It then culls out for study the players who fall into two distinct groups: low-handicappers (ideally those with course handicaps of 8 or below) and players 15 to 20 strokes higher than the average of the first group. For the Lookout Point rankings, we studied the scoring differences from both a mix of tees as well as rounds played on the same tee to factor in the variety of tees our players play their matches from. Next, the committee determines each group's average hole score. It then computes the difference in the average score for each group on each hole, and ranks the holes according to the magnitude of the greatest average score difference. Finally, in order to equalize the distribution of strokes over 18 holes, odd-numbered handicap strokes are assigned to one of the 9’s and even-numbered ones to the other nine. Throughout the process, the Committee reviews the mathematical results and make sure they reflect actual playing conditions. While Golf Canada provides recommendations for how to allocate handicap strokes, the final decision belongs to a club's Handicap Committee. The Committee should review the stroke allocation for men and women every few years or after widespread renovations to the course. In our case, the introduction of the Golf Genius software to our member events and tournaments has given us a substantial database of scores to work with to provide additional accuracy to determine our hole handicap rankings. The comparison method delivers the basis for stoke allocation, but other factors apply. First, the Committee is tasked with using “good judgment” in deciding on which holes strokes are justified in order to provide fair results. Adjustments can be made if things such as penalty areas and unique hole characteristics warrant. Secondly, “allocating low numbered strokes to holes near the end of each nine should be avoided, so that players receiving strokes will have the opportunity to use these strokes before either 9 or 18 hole matches are decided”. Finally, lower numbered strokes are not be allocated to the first or second holes in case a playoff is necessary. Let's compare a low handicap player and a higher handicap player on two of our holes. Hole #8 (which was ranked as the 15th stroke hole in 2018) and Hole #12 (which was ranked as the 16th stroke hole in 2018). For this test we are using the 615 rounds of data we previously accumulated - 312 from players who represent Player A (2.9 average course handicap) and 303 from players who represent Player B (18.7 average course handicap). Hole # 8 - The hole is 156 yards from the BLUE tees, plays uphill and generally into a wind. Player A has just as much difficulty in navigating the slope and wind, let alone hitting the green. Over the course of 312 rounds the average score for player A was 3.40 strokes. Player B may miss the green more often, but generally a chip and a couple putts later they manage to hole out. Player B had an average score of 3.82 stokes (303 rounds of data). Although they both consider the hole difficult when compared to other holes on the golf course, the vast majority of the time they are walking off the green having halved the hole. Hole # 12 - The 12th hole is a 460-yard par 5. Player A’s second shot is an approach shot to the green or if they miss the green an “up-and-down” chance for birdie which resulted in an average score of 5.14 strokes. Player A holds an advantage over Player B, who will normally be forced to lay-up short of the creek or play short of the green which results in a blind pitch to an elevated green. The result for the higher handicap player was a stroke average of 6.02. The disparity in ability is more apparent here, as is the need for the handicap stroke. This runs counter to how our hole rankings were allocated in 2018. As you can see from the above examples the difference in stroke average on hole #12 (0.89) is far greater than the difference in stroke average on hole #8 (0.41). In fact, through our analysis hole #8 had the smallest difference in stroke average of all of our holes, resulting in it moving from the 15th ranked hole to the 18th. There again are no absolutes, but the Committee will probably notice a pattern of allocation with the long par-5’s ranked as lower stroke holes to the par-3’s ranked as the higher stoke holes. The purpose of allocating Odd strokes on one 9 and Even strokes on the other is to make sure we are equalizing the distribution of strokes over the entire 18 holes. In a case where the second nine is determined to be more difficult than the first nine, consideration should be given to allocating odd-numbered strokes to the second nine. To understand how this impacts Lookout Point, we need to understand what “Course Rating” and “Slope” mean. From the BLUE tees our golf course rating is 70.5 with a slope of 130. The front nine has a 35.0 rating and a slope of 124 and the back nine has a 35.5 rating and a slope of 135. Course Rating is an evaluation of the difficulty of a golf course for scratch golfers. (More specifically, the number is an estimate of the average scores of the best 50-percent of rounds played by scratch golfers at the course being rated). Course rating is very easy to understand because it is expressed in strokes. A par-72 course that is easy might have a course rating of 68.9; one that is very difficult might have a course rating of 74.5. That means that a scratch golfer should be expected to average 68.9 strokes in his better rounds at the easier course; and 74.5 at the more difficult one. Slope Rating (a term trademarked by the United States Golf Association) is a little more difficult to understand because it is not expressed in terms of strokes. A high Slope Rating simply means we expect the scores of the scratch player and bogey player to be more spread out (a larger difference), than compared to a course with a lower Slope Rating. Essentially, Course Rating tells scratch golfers how difficult the course will be; Slope Rating tells bogey golfers how difficult it will be compared to the scratch player. Lookout Point’s back nine (rating of 35.5) plays 1/2 stroke harder for a “scratch” player (PLAYER A) than the front (rating of 35.0) and for a “bogey” player (PLAYER B) has a slope rating (135) which is 11 points higher compared to the slope of the front nine (124) meaning that the difference in their expected strokes when compared to the scratch player is significantly higher on the back 9. As a result we have determined the odd-numbered strokes should be allocated to our second nine because it is very clearly the nine which benefits most from the allocation of the lower set of stroke holes (odds).